Paperback. Pub Date :1998-10-06 Pages: 192 Language: English Publisher: Vintage Classics To compensate for his unusually large Adams apple - source of both discomfort and distress - fourteen year old Joachim Mahlke turns himself into athlete and ace diver. Soon he is known to his peers and his nation as The Great Mahlke. But to his enemies. he remains a target. He is different and doomed in a country scarred by the war. 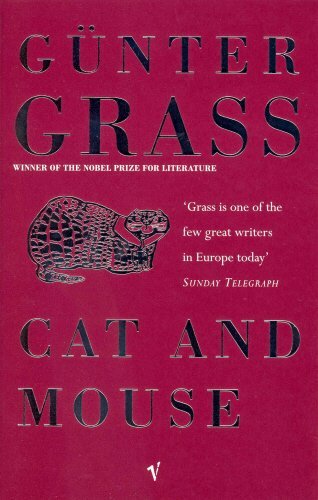 Cat and Mouse was first published in 1961. two years after Gunter Grass controversial and applauded masterpiece. The Tin Drum. Once again Grass turns his attention on Danzig. With a subtle blend of humour and power. Cat and Mouse ostensibly relates the rise of Mahlke from clown to hero. But Mahlkes outlandish antics hide the darkness at the heart of a nation torn by Nazi violence. the war and its aftermath.